The ability to earn extra income, excitement and a desire to work without a boss and a strict schedule are the main factors contributing to the growing popularity of online trading. Many users of the network, after viewing the advertisement of the next broker, begin to look for information about how they earn in the global financial market and what needs to be done in order to become a successful trader. Having studied the basics of online trading, a certain percentage of users decide to test in practice how it works. And the first problem that potential traders need to solve is the search for a reliable and promising broker. The task is rather difficult, today many companies offer their clients favorable and comfortable working conditions. Unfortunately, among them there are not only honest brokers, but also fraudsters, whose main goal is the money of gullible newbies. This review will show you how to choose a trading platform in order not to fall into the “network” of scammers. As an example, consider the well-known brokerage company PaxForex, which has managed to form a solid customer base, despite the contradictory reviews about its activities on the Internet. The presented trading platform was registered in 2010 on the Virgin Islands. The owners of this company are experienced traders who know well what the potential users need for comfortable work. Solid work experience helps them determine which indicators a potential client pays attention to when choosing a broker. To ensure the safety of the financial resources of its customers, the administration of the trading platform decided to keep them in separate accounts in reliable banks. Using the applications developed for brokers such as PaxForex and the MT4 platform, the creators of the service provided not only high speed of data processing, but also the security of information / financial resources of their clients. The age of the company (in the financial services market for more than 8 years) is a serious proof of its reliability. The positive factor is the presence of an office in London (residents of the UK can personally verify that such a company exists) and the size of the minimum deposit ($ 10). In case of technical or financial problems, the client of the company can contact the customer support service, which works around the clock, five days a week. Based on this information, we can conclude that by registering a username on PaxForex, the user of the resource runs no risk. But there is one important point that is of great importance for many experienced traders. We are talking about the absence of a regulator and documents confirming that the company has the right to provide financial services. Some sources have information about granting licenses to the International Financial Services Commission (IFSC) to this broker. But this institution works on the territory of the state of Belize, and on the official website the presented topic is not affected at all. The broker’s web site has training materials for newbies that will help you understand the principles of the Forex market, and what you need to do in order for it to become a stable source of income. In the “Questions and Answers” section you can find a variety of topics of interest not only for beginners, but also for experienced traders. The practical part of the training program is implemented using a demo account posted on PaxForex. It allows you to enter into transactions on the trading floor without risking your own savings. The advice of experienced traders! Never trust the training programs (in this case, a demo account) at 100%. Even with the most honest and well-known brokers, trading results with the use of virtual money will be much better than during the conclusion of real transactions. ● and other useful information necessary for making your own forecasts. ● Cent (minimum deposit of $ 10). They differ not only in terms of minimum deposits, but also in indicators such as minimum rate, spread, access to assets, number of currencies used, etc. 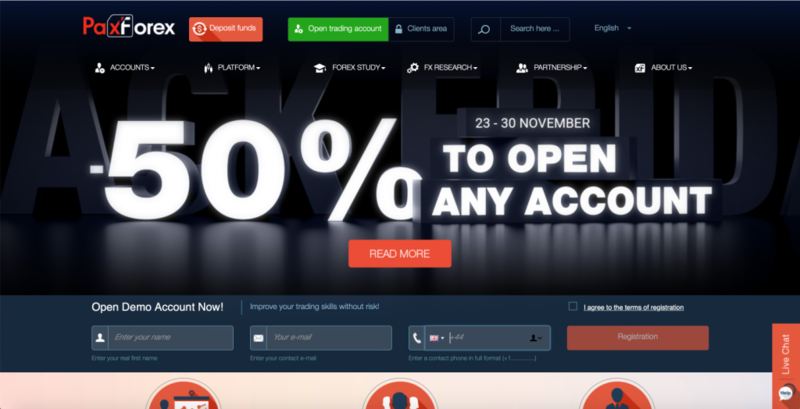 Judging by the reviews compiled about PaxForex, the presented choice of accounts suits even the most demanding traders. 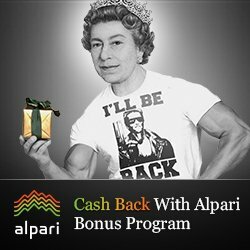 ● Minimum deposit – from $ 10. ● Transaction size – 0.01. ● Mobile trading – provided. ● Spread type – fixed. ● Maximum leverage is 1: 500. ● Provided personal manager service. ● Debit and credit cards of VISA / MasterCard systems. For profit on this web resource, traders can use: currency pairs, precious metals, cryptocurrencies and stocks. Securities are used for trading only by account holders: standard and VIP. Analyzing the above information, we can conclude that under the conditions of work, this broker is suitable for both novice and experienced traders. But for further development, he definitely needs to resolve the issue with the license and choose reputable regulators. If you do not fix this problem in the near future, you can lose even the most loyal customers.